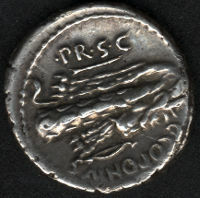 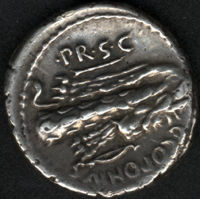 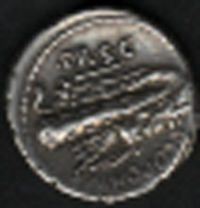 The differences in the effects of resolution (dpi) of a scanned image is more obvious looking at blow-ups of a detail of a coin. 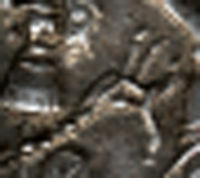 These images were scanned at the dpi indicated, downsampled to 72 dpi and made 200 pixels in width. RSC Furia 18, Celtic war horn and armor.